(TibetanReview.net, Feb17’16) – The address of the Chinese embassy in Washington, DC, may soon be ‘1, Liu Xiaobo Plaza’, named after the 2010 Nobel Peace laureate jailed by China for campaigning for democracy for his country. That’s because on Feb 12 the US Senate unanimously passed a bill that would institute that address. 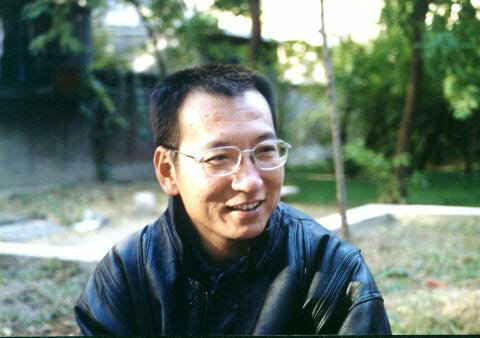 Liu Xiaobo, 60, had co-authored a pro-democracy manifesto called Charter 08 and was jailed for 11 years in 2009 for allegedly inciting subversion of state power. His wife, Liu Xia, has been under house arrest since his Nobel award in 2010. The bill was authored by Senator and Republican presidential candidate Ted Cruz, who secured Democratic cooperation by removing holds on long-pending diplomatic appointments. Its passage followed a bipartisan push in 2014 led by the late Republican congressman Frank Wolf, which won the endorsement of Liu Xia. Although the House is also seen as being likely to pass the bill, the White House has indicated that it may veto the legislative proposal. Spokesman Zhu Haiquan of the Chinese embassy has described the proposal as “provocative and counterproductive”. And the state-owned Global Times newspaper described those behind the move as “vile characters” China will deal with in its rise. The newspaper said the Senate move was not a big deal and then went on to make a big deal of it. It said: “The US has been at its wits’ end in dealing with China as it is reluctant to employ military threats or economic sanctions that may backfire. The only option for Washington seems to be petty actions that disturb China. But these can help China better understand what vile characters it will meet during its rise and face whatever awkwardness comes by dealing with them.